First Love Missions: Fear Not! Scripture instructs us over and over not to fear. 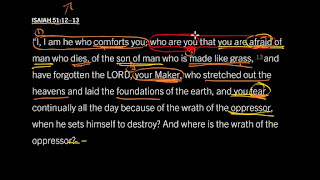 In Isaiah 51:12-13, God both admonishes us and encourages on this subject. 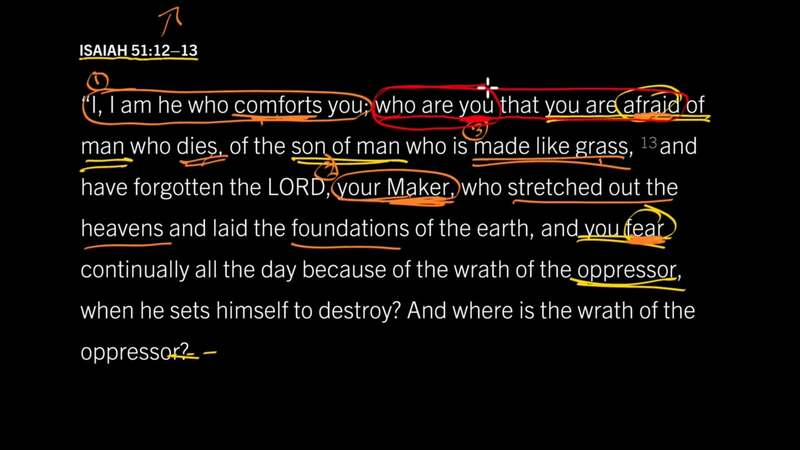 He begins by stating that He is the one who comforts us and then - "Who are you that you are afraid of man?" He goes on to remind us that is was He who "stretched out the heavens And laid the foundations of the earth", it was He who created everything. The significance of this passage cannot be understated. When we fear the things of this world - everything related to 'man' - we place those things above God! We usurp the power of the creator of the universe that is alive inside us and replace it with flesh. One of the biggest issues facing the body of Christ has today is not realizing the authority we carry - the absolute power of the creator. As a result we freak out at every little thing and are 'tossed about, to and fro'. The next time you even begin to fear ask yourself the question that God poses here - who are you to fear?